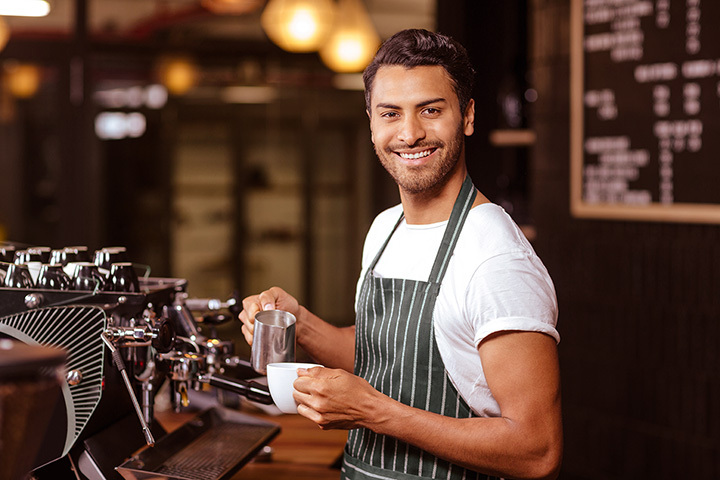 Whether you’re a coffee connoisseur or just someone who can’t live without your daily cup of joe, then you’ll want to make sure to check out the supreme Oklahoma coffee shops on this list. Each offers its own blend of charm, charisma and coffee for that perfect drink and service. When you’re in the neighborhood, you’ll want to get your caffeine fix. Michelangelo’s offers coffee and wine throughout the day along with fresh-baked croissants and fine chocolates. Come for breakfast, lunch or dinner to enjoy artisan pizzas or delicious panini. It’s a local favorite that hosts Open Mic Nights, live music and a songwriter’s showcase. Located in the Brady Arts District, Gypsy Coffee has been operating since 2000 in a 103-year-old building that once housed Gulf Oil Oklahoma. Today, it serves up locally-roasted coffee and espresso along with a limited lunch menu. Check the calendar for special events and live music. On the outside, this place seems unassuming, but on the inside it’s warm and inviting. Fresh brewed coffee and pastries await. Get breakfast or lunch, and find vegan and vegetarian options. The raspberry decadence is the drink to try if you love berries and coffee. With in-house roasted beans, Hoboken Coffee Roasters offers the freshest cup of coffee in Guthrie. All its pastries are also baked fresh every day. This remodeled garage smells better than any other garage you’ve ever been in. Aspen Coffee has three Stillwater locations, and each one uses old-style Italian espresso machines to craft each drink to order. The menus differ from store to store, but you must try the Granita Latte, a frozen treat that’s made from scratch. Get great coffee at the same you’re helping women succeed. She Brews offers opportunities for women reentering society after addiction or incarceration. It’s a local favorite where you can find hot and cold crafted beverages with all types of flavor add-ins. The Percolator isn’t just a place to relax and enjoy a cup of joe, but a place to build relationships, both business and personal. Get coffee, lunch and dessert while enjoying a selection of artwork by local artists. Jim and Em’s looks like your grandma’s house from the outside and smells like it when you come in and sit down. Enjoy a homemade quiche with your cup of coffee or try one of their home-baked pastries. They whip up cream for their specialty drinks so it’s fresh and delicious with every sip. Rx Brew serves up coffee to the students of Southwestern Oklahoma State University. It’s a local favorite that now offers deliveries in the metro area. Try the holiday favorites, like a peppermint mocha with a fresh baked cinnamon roll. Make a trip to downtown Ardmore for specialty coffee drinks and extra-special home-baked muffins. Main Street Coffee has pop-up shops in its dining room. You’ll never know what you’re find in this little coffee shop.